Sometimes we get melancholy. It is just a part of life. Our Sad Poems collection expresses, in shades of blue, just what we feel when we are down. Sometimes it is despair, hopelessness, or just a sense that we are all alone. The good news is, we all feel that way from time to time, so in that sense we are never really alone. Things may look bleak now, but they will get better. We think you will identify and perhaps find some comfort in our special words. Remember, if you are feeling down, speak to someone; a friend, a family member, maybe a professional. There is no need to shoulder the burden alone. We are all in the same boat, together. Dark Depressing Poetry: When you're in a somber mood, it sometimes helps to read some words that show you are not alone in the way you are feeling. You'll cheer up soon enough, but its ok to feel blue." Sad Friendship Poem: When a friendship is fading or ends altogether, we feel a sense of loss. The writers at My Word Wizard have examined this painful period in the life of a friendship and offer a collection of thoughts that may reflect your own experiences." Goodbye Heartbreaking Poems: When saying goodbye seems too hard to articulate, let the writers at My Word Wizard help you express just what you're feeling inside. Whether it's a friend, loved one, or just someone at work, you'll find the perfect sentiment in this poignant collection." Enter the title of your poem in the box beneath the heading "Enter Your Title" immediately below these instructions. The full submission form will appear with your first keystroke. Make sure to include all information in the required fields. We will get back to you if your submission is approved. Please indicate whether you would like your name to appear with your work. You may choose a pen name if you wish, or you may choose to remain anonymous. Together they'd gaily walked life's path humming their shared familiar tune laughing,loving,living it was gone too soon. As time goes by so shall we, as the Petals on a Rose wither away so shall our soul soon follow one day. He was everything to me and I loved him he protected me when someone was trying to take me, but now he's gone and it has changed everything. Mommy where did she go? Hated By Many; Wanted By Many; Disliked By Some; Confronted By None! 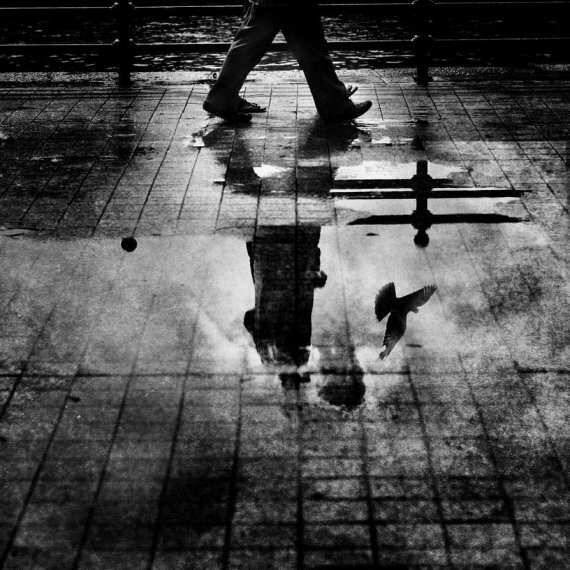 Walking in the street Lonely I looked at myself A sad person With broken heart And I realized My suffering. You and I shared a love that split us apart,ours words so cold warmed by blood,hearts that became stone,two people in love now alone. I am broken glass. No one will come near me. Anyone who touches me will get hurt. And yet…. When bathed in light, I will surely glitter. How I hate school! It really does makes me drool There are nice people and there are mean people. It's all the same and I hate it all! If u are scared of something, feel free to talk to G-d. I think He is going listen to what you are saying to him. A collection of eloquent quotes and sayings about the times when we are melancholy.